Dear tellows fellows, we love staying in touch with you and always keep you informed about new events on our blog. Today we want to talk about online trading because there are tons of reports about companies proposing how to make money online using their trading product or simply offering a trading academy. 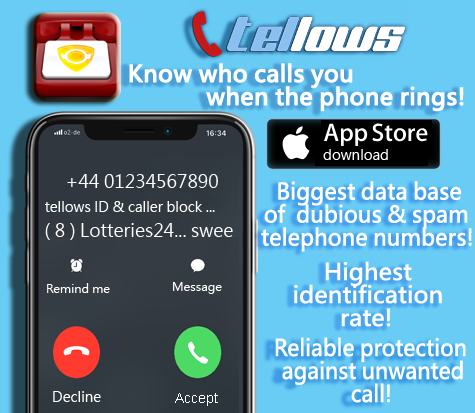 This entry was posted in nuisance calls and tagged nuisance call, online, spam call, tellows app, tellows community, trading on Friday May 18th, 2018 by tellows.de Team. What are nuisance calls and how can I avoid them? 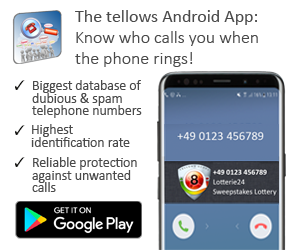 According to Which?, a household in UK gets an average of 7 nuisance calls in a month. 8% of consumers in UK were bombarded by over 50 unwanted calls in a month and about 85% receive at least one spam call on a monthly basis. There are two types of nuisance calls – silent calls and unwanted marketing calls. Ofcom deals with silent calls while the Telephone Preference Service (TPS) deals with marketing calls. This entry was posted in nuisance calls and tagged marketing call, nuisance call, silent call, telemarketing, unwanted call on Wednesday March 19th, 2014 by Grace.